MY BIRTHDAY!!!!! 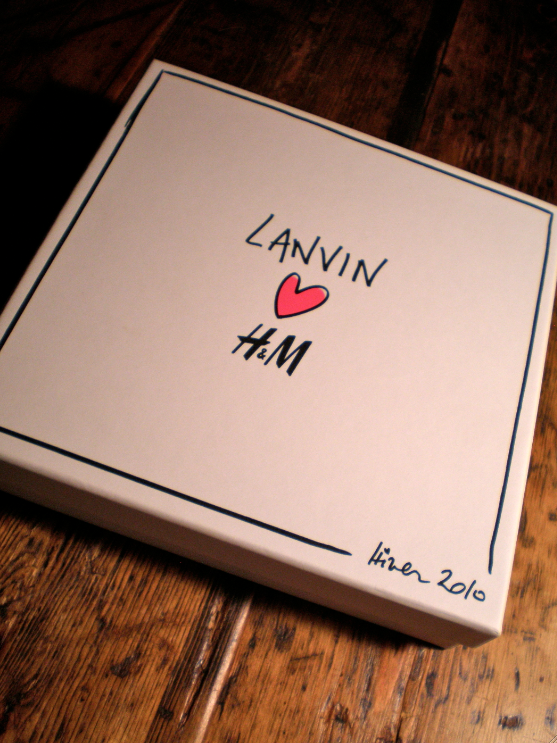 AND, OKAY, A LANVIN FOR H & M INVITE. That's it. That's today's whole post. What? That's not ENOUGH for you? 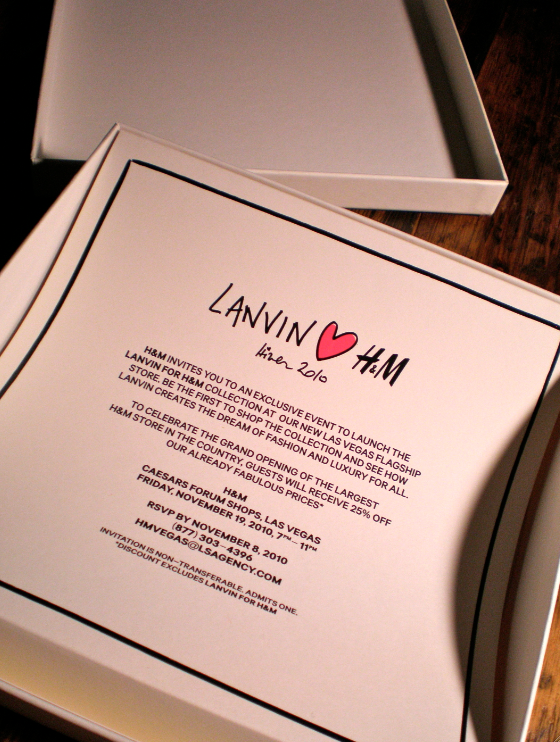 Well, take a gander at the invite I received a couple weeks ago to the pre-launch party, celebrating Lanvin for H & M at the Vegas Flagship store (check out the collection here). Obviously, I was excited to receive this box. I mean any number of fabulous, amazing things could have been inside! Turns out it was an invitation, sadly to a party in a city where I don't live. Alas! I could have shopped early! Underneath the invitation itself was a little gift though. 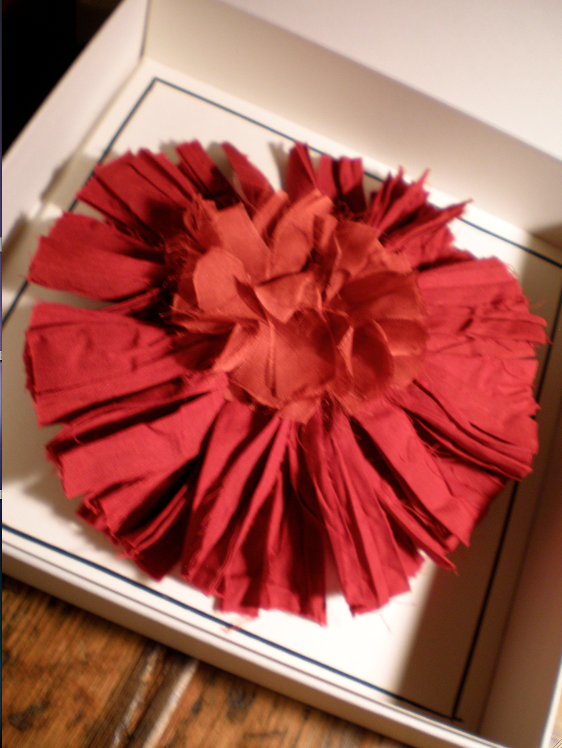 It's a large flower pin. I have to be honest: I sort of have no idea how I would wear this in my universe, but it's still a fun novelty. Meanwhile, I'll have to camp out and shop like the regular people. Birthday month and all! 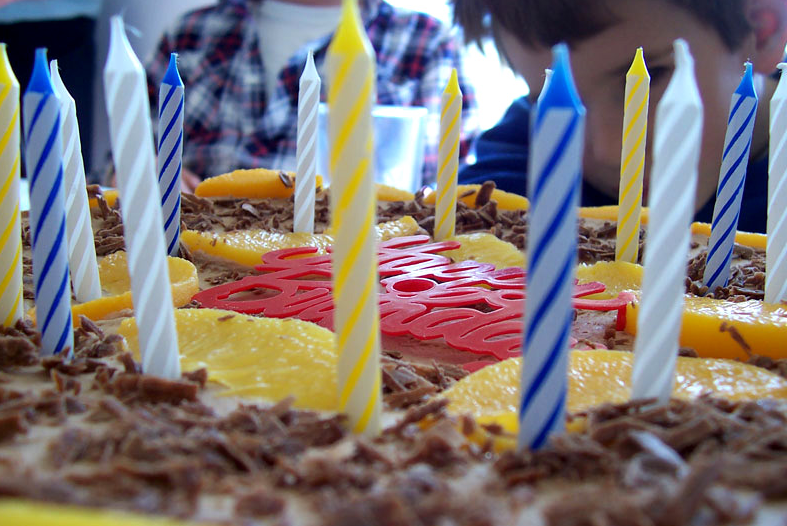 Okay, now go plan my elaborate gift and original song before my birthday ends. Go! Go! Happy birthday! That appears to be quite a large flower pin and doesn’t evoke the images of the Lanvin for H&M line that I’ve seen so far. Still fun though! Woah! What a beautiful girl-her eyes, her hair- fasttnaique! Fred, I don’t know where you find all these people- they all just look so fantastic!